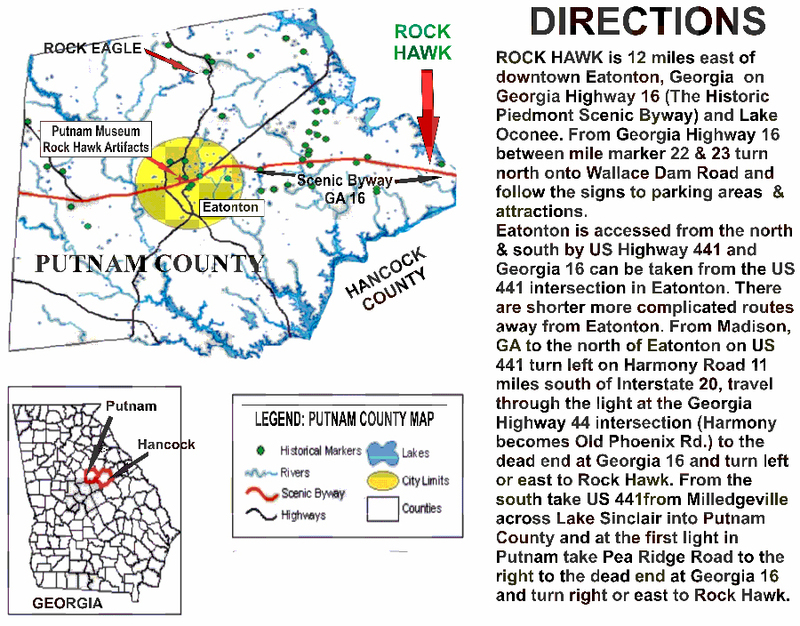 Check here often for news and announcements: Check out our video about Rock Hawk. Click below to view Set in Stone. Much has changed since the video was created in 2003, but the effigy remains the same as the area around it has been enhanced. Rock Hawk is an outdoor classroom that has hundreds of educational displays along the 30 miles of trails that surround and lead to the ancient effigy. 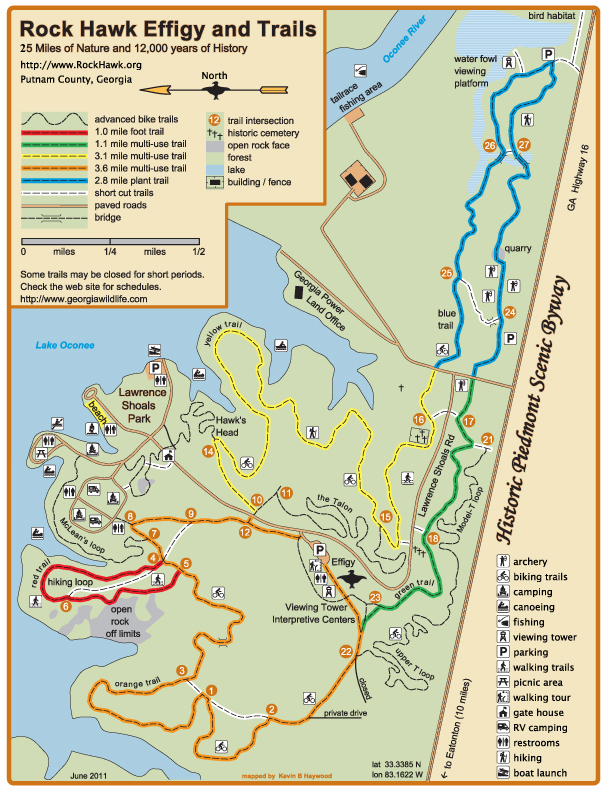 The displays along the trail and wetlands and the indoor and outdoor interpretive centers near the effigy cover a wide variety of flora and fauna as well as 12,000 years of the area’s history, including a history of Putnam County’s unique large effigies, old cemeteries, home sites, quarries and more. Recreational opportunities include: camping, boating, fishing, archery (3-D & static plus limited hunting), beach, hiking & biking, and nature watching. The wetlands and the effigy can be observed from viewing towers. The historical and archaeological educational experience is certainly enhanced by the rare combination of a large lake, a major river, wetlands and varied forests and fields that attract a wide variety of wildlife, including over 200 species of birds, at least 25 of which are on the Audubon Society’s Priority Species list. Lockerly Arboretum has labeled a large number of trees and plants along the three-mile Blue trail. Research and other contributions are from major universities and organizations across the US. Join us in a unique recreational and educational experience.